Kids construct a paper tree of fractions! First, they create a trunk and branches. The trunk represents 1 whole. Once they have their trunk cut out, they cut branches to represent 1/2 and 1/4 of their trunk. Then, they paint leaves with a q-tip and write down the fraction for each color they used. 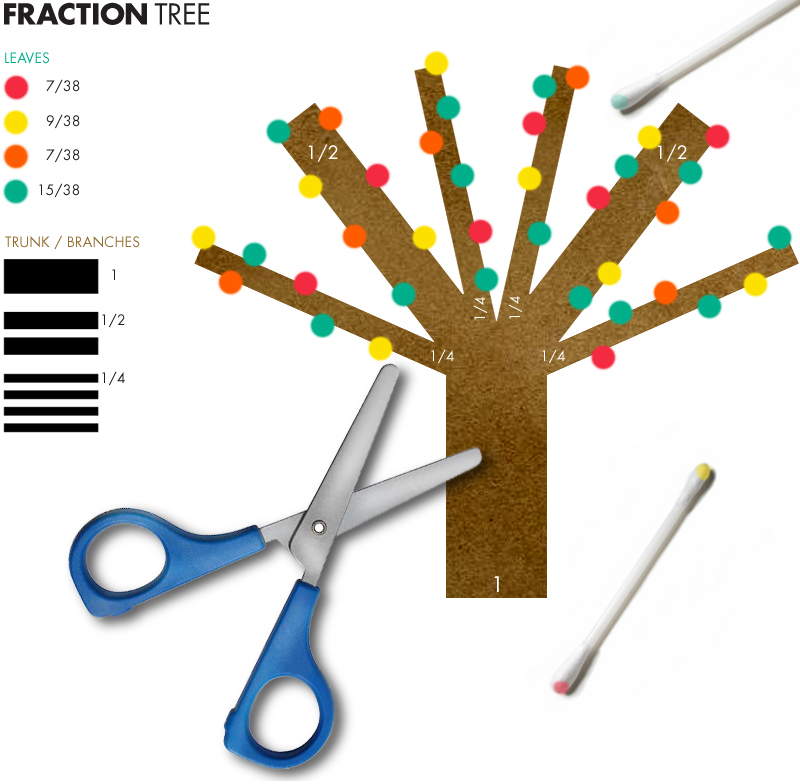 Click here for an example of a different fraction tree kids can make!